The head of a big publicly traded pot company said he's preparing for potential changes that will make his products available in America. Cannabis is still illegal in the United States under federal law, even though a number of states have legalized marijuana. 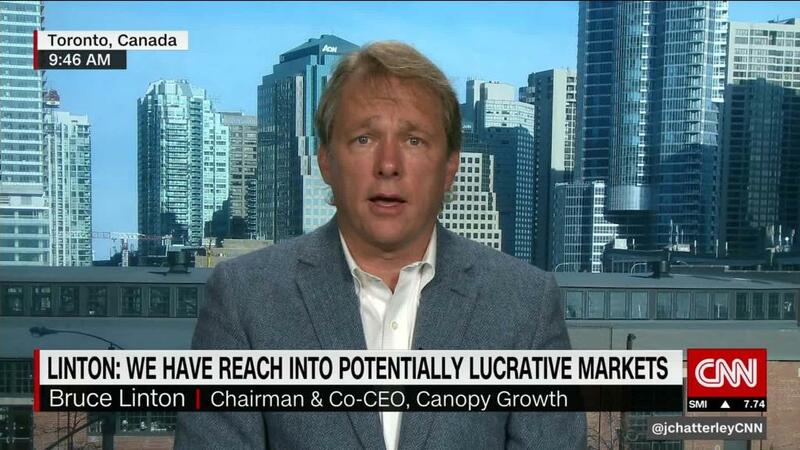 But Bruce Linton, the co-founder and CEO of Canopy Growth (CGC), told CNN's Julia Chatterley on the First Move show Friday that he thinks some of the laws prohibiting marijuana could soon be relaxed. "Republicans have had a strong history of supporting state rights," Linton told Chatterley. Linton said he believes federal regulators could decide it's okay for pot to be legal in states like California and Massachusetts that have already approved the sale and possession of small amounts of marijuana. They could leave in place a broader federal ban. "If they did that, it would be good for me," Linton said. Pot's illegality hasn't stopped American companies from getting involved in the business. 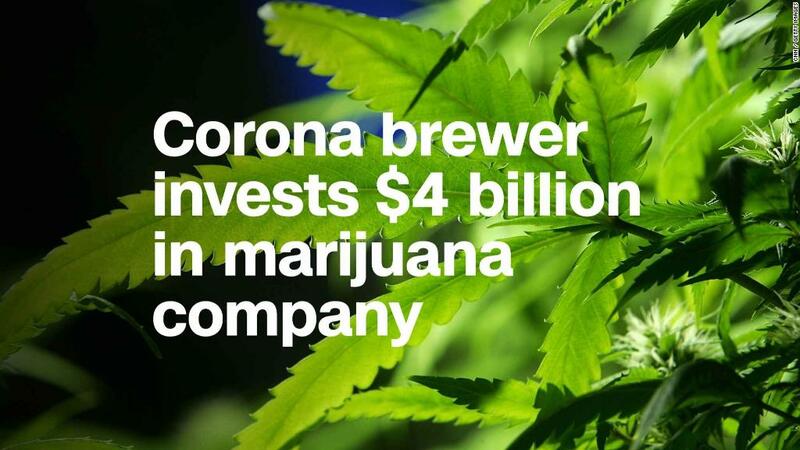 Shares of Canopy Growth have soared since Corona owner Constellation Brands said last month it was spending $4 billion to boost its stake in the company. Constellation (STZ) first invested in Canopy Growth last year, when it bought a 10% stake. The company upped its holding in Canopy last month to 38%, and it has the option to purchase a majority controlling share of more than 50%. The two companies plan on developing cannabis-based beverages for countries where that is legal. Canopy is one of several pot stocks that have been on a tear in the past few months. Tilray (TLRY) and Cronos (CRON) have both surged because investors are betting on a big boost in sales as Canada's legalization of recreational marijuana draws closer. Shares of tiny New Age Beverages (NBEV), a maker of trendy Kombucha drinks, has soared more than 300% in the past five days -- including an 80% pop Thursday -- after the company said last month it would debut CBD infused drinks. CBD is cannabidiol, a non-psychoactive component of cannabis. Even DavidsTea (DTEA) -- a Montreal-based company -- has gotten caught up in the pot frenzy. 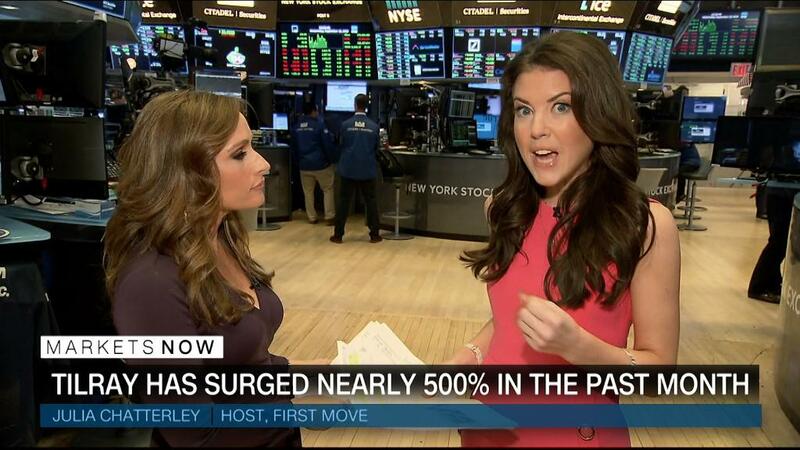 Shares surged 12% Thursday on speculation that it could make a play for the marijuana market. But New Age Beverages, DavidsTea and Tilray plunged Friday as some investors fear that the pot stock craze could be a bubble. Canopy and Cronos also took a hit Friday. Still, more big beverage companies -- and even drug makers -- may invest in cannabis as a result of the Constellation-Canopy deal. That could make the pot stocks a better long-term bet. Tilray's CEO suggested on CNBC that cannabis made sense as a hedge for beverage makers and pharmaceutical firms. Another Canadian pot company, Aurora Cannabis (ACBFF), has surged this week on speculation it could do a deal with Coca-Cola (KO). Canopy's Linton agreed the major drug companies and beverage producers must have a cannabis strategy. He argued these industries can't ignore pot, and Constellation is ahead of the curve. But he warned that the United States is "still a no fly zone" for marijuana sales as long as it remains federally illegal.